Catherine Pepinster, again, has used her 3 minutes on national radio to defend her religion’s approach to child abuse, in the context the Irish Government’s call for priests to pass details of child abusers in confession on to the police. This is unacceptable, BBC. This is not a ‘thought for the day’; this is pure religious propaganda, and in this case Vatican propaganda. Stop it! So, no bid at the moment for BSkyB. It all seemed so easy in the end. There is still time to ressurect the News of the World for an edition this weekend. No need to have closed it, one senses? This exhibition, The Pleasure Principle, has all the favourites – the bowler-hatted ordinary men raining down over the houses, the train coming through the fireplace, the pipe (the one that is not), the daylight darkness (the streetlights shine whilst the sky is bright and blue), the couple kissing shrouded from one another, etc. In all, it took about 3 hours to go round the whole exhibition. To a painting, they are mostly familiar. One possible exception is the gallery with examples of his commercial work – artwork to advertise cigarettes, fashion, theatre and cinema posters. Some of the motifs are visible, but not quite so strident. Rarely was he political. Though he did depict the Belgian fascist leader, Léon Degrelle, looking into a handheld mirror (one of Magritte’s motifs) and seeing Adolf Hitler. And on only one occasion is a picture with a grey sky depicted; again a scene from the war. Equally unfamiliar are the home movies that he made with his wife and other members of the surrealist movement in Brussels. Their playfulness is enchanting as they do strange things, using their bodies as objects for Magritte’s moving art (he was not a very good cameraman; reassuringly, the movies are no better than the ones I made on Super 8 when I was 10 years old). Yesterday I had my chance to see Björk perform Biophilia at the Campfield Market in Manchester. It was a curious event. There are 8 new songs, not really enough for a show in its own right so she interspersed the new songs with old ones for which I have no explanation of the choice (other than the fact that they are great songs). Indeed, pure genius to end the whole show with her revolution anthem, Declare Independence. In these times of instablility in the Arab world and Europe (was there ever a better anthem for Greece with its call to ‘set up your own currency’?) ‘Raise your flag’, she implores. Rousing stuff. As for the new songs, most are great, a few not so, but any body of work has weak links. Björk has more of those than most. But she is forgiven by virtue of her uncompromising creativity and sheer talent and commitment. The new instruments, particularly the Tesla Coil with its electrical sparks providing an incredible percussion along with awesome visuals, are worth investigating. 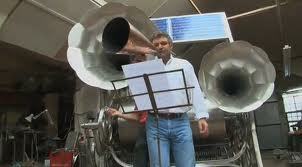 The ‘Sharpsichord’ with its over-sized ‘ear trumpets’ looked like H.G Wells’ time machine (http://news.bbc.co.uk/1/hi/england/kent/8481926.stm). The Pendulum Harps – four swaying rods with strings at the weighted end – accompanied a lone Björk on the final song, Solstice. These curious artefacts, however, pale into insignificance against Björk’s own voice and the glorious backing given by the ’30 piece’ female choir that provided the wall of sound – the Biophilia sound – that one takes away. On first hearing, it is difficult really fully to digest Biophilia’s profundity. The stunning visuals projected onto both sides of screens circling the stage gave a flavour the the complexity of Biophilia and its ‘unseenness’ – small, inside us, under water and under the surface of the earth. Also, as some commentators are describing it, the genius of getting David Attenborough to voice-over the scene setting introduction and to announce each new track. The start, consequently, is a ‘hairs on the back of the neck’ moment, at least for those of us of a certain age. So, Rupert Murdoch will be able to buy BSkyB, but only if he makes Sky News an arm’s length operation. The issue is one of news pluralism. 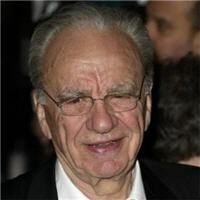 Murdoch represents a significant media magnate for the first time attempting to link both print and broadcast media. The political concerns have been largely commercial; notably, the impact of cross-advertising of newspaper titles and general television entertainment. But let us not forget all of that phone tapping that has been going on within the Murdoch newspapers; particularly disturbing is the news today (4 July) that those journalists tapped into the mobile phone of Milly Dowler that may have impacted on the police investigation into her murder (http://www.guardian.co.uk/uk/2011/jul/04/milly-dowler-voicemail-hacked-news-of-world). Maverick journalists, of course. These worries are bad enough, but when one reads the adulatory words of former Sun editor Kelvin McKenzie in Friday’s Guardian (1 July 2011), one can see that the plot has not been understood. MacKenzie’s headline, ‘Thank God for Murdoch’, is sufficiently illustrative of his position. It is true that Murdoch was bold in building his satellite TV operation. The risks were high and he has been rewarded for taking them. But Sky News is a problem. It is not, argues MacKenzie, Fox News in the US. That is a very interesting statement. It suggests, rightly, that Fox news is far from plural, unbiased and legitimate. Whether Murdoch would want to turn Sky News into Fox News is a debateable point (would it serve his objectives in the UK? ), but the maintenance of particular news values are certainly important. Those values have served him well and maintain him as a serious power broker in UK politics despite being neither a UK national nor being elected. Good journalism is an essential part of any healthy democracy, but power of the Murdoch flavour is such that journalists do not need to be asked to ‘report’ in the right way. They do it as a matter of course. In Bachrach and Baratz’s famous phrase, this is the ‘power of non-decision making’. Journalists instinctively know what is the right way to do their (Murdoch’s) journalism. Murdoch simply does not need to make that call to the editor to achieve compliance. Journalism in the UK is poor. The media outlets they support foster this. They report a very sanitised and formulaic news. Fortunately there are some alternative sources out there. Media Lens contributors (www.medialens.org) constantly re-interpret reportage for us. Aljazeera provides reportage that is unmatched in the UK (www.aljazeera.com) and John Pilger in the New Statesman is compelling; always challenging.